Your mortgage underwriting process is the single most important step that influences the loan approval decision. Hence, as a lender, you must do everything your capacity to make it as streamlined and meticulous as possible. A typical underwriting process is full of time-consuming tasks that range from the examination of a customer’s personal documents to loan amount calculations and an in-depth study of the property appraisal report. Accompanying these tasks are also the possibility of errors. Missing documents, incorrect information, misappropriated details and attempts at fraud can all slip through if an underwriter is overburdened. The large volumes of data that need processing and the weight of the responsibility of being a critical decision maker can lead to inadvertent errors. These mistakes can end up being extremely expensive when they turn into disputes and lawsuits. As a worst case scenario, your loan may not even be GSE purchase ready for sale in the securities market. What all these add up to is that the quality of your mortgage underwriting process determines the quality of your entire mortgage loan approval process. And to maintain this quality, it is important to free up your underwriter from small and mundane tasks like arranging loan files or undertaking a stare and compare approach to validate data etc. So, how do you achieve this? The answer, therefore, lies in automating your loan origination process so that your underwriter can focus only on what he is supposed to do. M-suite is a powerful but simple to use document management software suite that is specifically designed to handle Mortgage Loan documents. It is powered by a wide array of machine learning and AI algorithms best suited for automating critical aspects of the loan process. For starters, it uses the most advanced OCR engine in an enterprise-grade application which is capable of identifying text on printed documents and transforming it into organized digital data thereby eliminating the need for a stare-and-compare approach. M-suite is also equipped with image enhancement and statistical models which process loan information and digitize documents at remarkable speeds. Such advanced capabilities will reduce the weight of the underwriters responsibilities and add value to the underwriting quality. 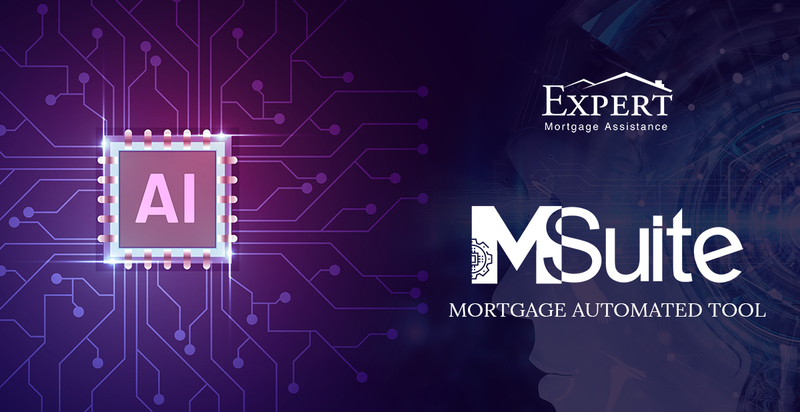 The automated data indexing features of M-suite will enhance the pace of the loan on boarding process. This helps in clearing the loan file from the underwriters desk faster. It eliminates the scope of data entry errors and missing information. This eliminates the need for underwriters to send back the files for re-examination. Effective digitization of loan documents from hard copies. This takes away the need for scanning and arranging files. Automation helps underwriters achieve quality levels which are simply not possible using the traditional approach to mortgage underwriting. M-suite, is the perfect automation tool for making an underwriters task less time-consuming and less complicated.